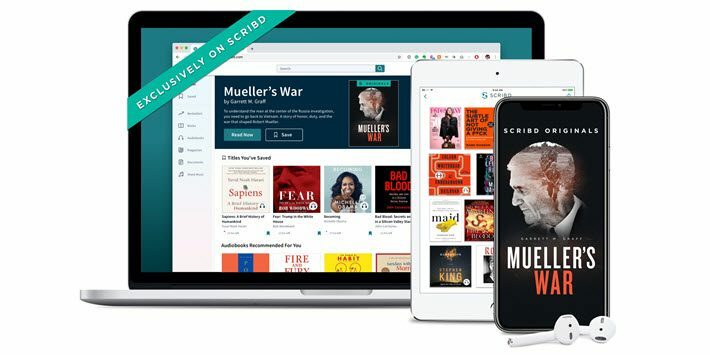 Book subscription company Scribd is getting into the content business with its new Scribd Originals venture, publishing novella-length. Typical of the cleverness with which CEO Trip Adler works, Scribd is using politics to introduce the concept. The Graff piece might remind some of the “Newsweek Insights” series that Sheila Bounford produced several years ago from London—lengthy essays by reporters on topics they were covering—and Mueller’s War and illustrates one kind of material that authors and other writers may want to consider for the new platform. 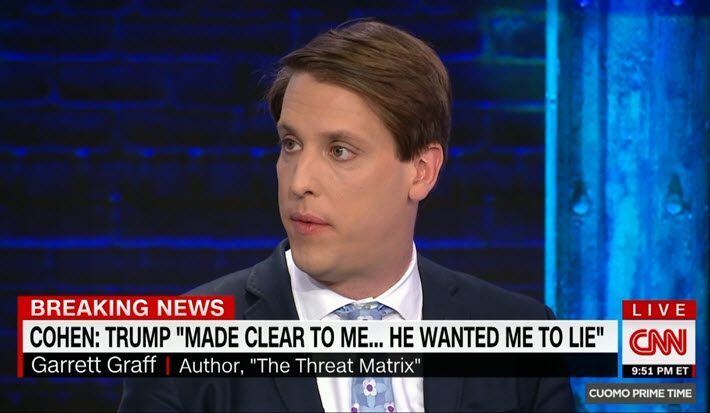 The Scribd site has an interview with Graff on his new piece in which he talks about meeting Mueller for a Washingtonian magazine profile that led to Graff’s book, The Threat Matrix (Little, Brown, 2011). Of course, today, opening one’s Originals isn’t entirely original. Platforms and other entities trying out the Originals direction include Radish Originals (written by teams of soap-opera professionals); Amazon Original Stories (often with a topical link); Storytel Originals (content builders for a hungry audio subscription service); Wattpad Originals (a bit of branding with which the big platform explained some of Wattpad Studios’ work); and a host of screen-industry Originals, from CBS Originals to the most coveted of all, Netflix Originals, which recently went through the roof with the Susanne Bier production of Josh Malerman’s Bird Box (HarperCollins Ecco, 2015). In the roll-out of its Originals, Scribd’s talking points stress the new format as a value for authors, and there’s potentially a genuinely significant advantage here because the platform’s recommendation system is going to serve up Originals along with books for consumers. In addition, authors are invited to think of several types of writings as pertinent to the new offer, in some cases testing out work that might be developed further. Scribd Originals span multiple genres and are perfect for readers who are interested in freely exploring new topics. 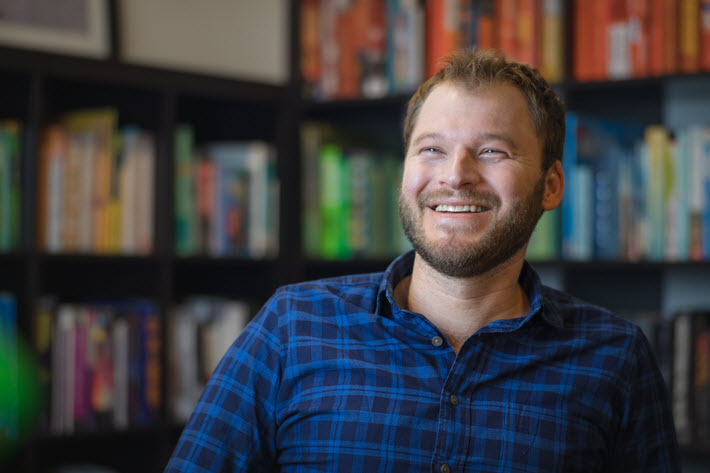 “Scribd Originals will take the form of entirely new content or extensions of existing short-form works that an author feels are deserving of more attention,” the company has announced. In addition to Graff, notable writers expected to contribute exclusive content to the cause include Roxane Gay, Hilton Als, Peter Heller, Mark Seal, and Paul Theroux. When Publishing Perspectives inquired as to how authors and agents can propose material for Originals consideration, the media liaisons for the company in California responded that the Scribd Originals content team should be contacted directly. In an extended prepared statement, Adler is quoted, saying, “We’re expanding the limits of what a reading subscription service can be and thinking creatively about the limitless possibilities of a digital reading experience. “Working with authors and giving them the freedom to tell stories in new and interesting ways is a natural next step for Scribd. We want to help authors engage with more readers by producing binge-worthy Originals that fit readers’ interests and can often be read in one sitting. The new program follows the advent of Scribd’s partnership with the Times on a joint subscription bundle for $12.99/month, and its integration with Waze’s Audio Player. Scribd surpassed 1 million paying subscribers in January and draws more than 100 million unique visitors to its platform monthly, with a total of more than 190 million hours read to date. More from Publishing Perspectives on Scribd is here, and on authors is here.